Bullying in England April 2013 to March 2018 contains some worrying statistics about the number of children who suffer from bullying. 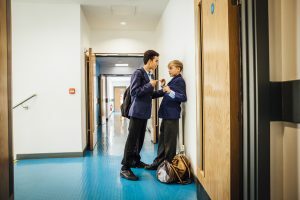 Vulnerable groups of students such as those with a long-term illness, living in deprived areas and who have been suspended or excluded, appeared to be most likely to report being bullied. The report distinguishes between physical and verbal bullying and theft or damage of property. It found that 60% said they had experienced physical bullying and 89% some kind of verbal bullying. Eighteen per cent reported theft or damage to their property. Verbal bullying includes being called names, sworn at, insulted, ignored or having rumours spread about them. Overall, the statistics are relatively consistent across the years. However, the percentage of children who were only bullied at school rather than in other venues has increased from 53% in 2013/ 2014 to 63% in 2017/ 2018.